Recently I had the opportunity to drive something other than a hybrid for 3 weeks. A friend accidentally backed into my (parked) Toyota Prius and crunched the right bumper and some internal structures. When I was given a rental, there were no hybrids available, but they gave me a midsize sedan, which they assured me was the equivalent of a Prius. Well, maybe the Chrysler 200 is a midsize sedan, but it is a far cry from a Prius. It made me wonder why on earth, if it is (and it is, I looked it up) a midsize sedan, do people drive non-hybrid cars? The rental company was nice enough to give me a car with ¼ of a tank, giving me the full experience of having to fuel up a non-hybrid car. Little did I know that I was going to have to fuel up this car more times than once. I was aghast when I received the receipt and saw that it was over $50. So THIS is what people talk about when they complain about high gas prices. I looked to see how many gallons and saw it was 5 more than what my Prius holds – so surely this will last me as long as the Prius, right? RIGHT? Wrong. I had to fill it up twice more. I just don’t get it. I drive long distances for a Prius driver, not just city. My Prius does great. I drive 17.1 miles one way to this one location. I get 57mpg on this trip, one way. I drive to Thanksgiving every year to North Carolina from New Jersey. I can make it the entire way on one tank of gas. My car is comfortable for these long trips – I even did it one year with four freshly broken ribs. I have ridden in other cars and I have to go into the chiropractor the next day after riding in them for 30minutes because they put me out of whack. Not so in the Prius. Hybrid car skeptics remark what a smooth ride and how comfortable the hybrid is and think it’s a neat little car. This awe also extends to the backseat. I am tall gal – 5’10” – and I can comfortably sit in the back seat with both front seats all the way back. There’s plenty of space. I haul all sorts of junk in this car. I am an organic gardener and a horseback rider. I’ve hauled multiple saddles, hay bales, soil, plants, trees, and more in the back of this car. It has been able to fit things in it that some vehicles couldn’t. It’s moved me to 2 different abodes. Snow. Did I mention I lived in Buffalo, NY for a spell? My first Prius did SO well in the snow that when we wanted to go do something, and it was snowing, we took the Prius. I’ve never had this car spin out on me or get out of control in the snow. I never had an issue with it in the time I lived in Buffalo. When I moved to Eastern NY state I made a trip up to the Catskills during a snowstorm. We were traveling with another friend who was in a Volvo. Guess who got stuck? That super-duper Swedish car. Not the Prius. In a freak October storm in New Jersey I made my way home and passed a van, a truck, and two cars that were stuck on the side of the road (on a hill) – Prius was chugging along like a champ. My conscious got the better of me when I saw a woman sobbing into her cellphone that had gone off the road so I stopped. I did get stuck then, but I did get UNstuck. I can even attest to the Prius’ safety. Three weeks after I got my first Prius, a 2006, I was unfortunately t-boned by a Ford 350 on the driver’s side (not my fault). To this day I am surprised that the car was cleared to be repaired and not totaled since the frame, two doors and front fender all had to be repaired. I walked away with no scratch, no whiplash, no injuries, nothing. The car saved me. The same car saved me 7 years later – except this time the poor care sacrificed itself for my safety. This time I was traveling down a highway that had restaurants in the center median. A person two lanes over decided to cut across the lanes instead of going around to get into the restaurant just as I was coming (they stupidly had blinds up on BOTH of their driver’s side windows to shade their occupants from the sun) and I ran staight into them at 50mph as I had a fraction of a second to hit the brakes. Again, I miraculously walked away with absolutely no injuries, thanks to this car. I should add that all occupants of all vehicles were fine. When I received the news that the 2006 wasn’t going to make it, I did some research, tried out some other hybrids, but settled on – you guessed it, another Prius. My 2006 and I had several adventures. It was used as a getaway car in a wedding, it climbed a mountain in the Catskills (it went on a “road” (if you can call it that) that the only other vehicle that went on it was a Tahoe), and many camping trips. In all those times I don’t think I have ever paid more than $30 for gas to fill the tank. The tank lasts me anywhere from 2 – 3 weeks. The tank from the other midsize sedan rental? It did not last me a week! What?! I had to put in gas two more times (I refused to fill the tank after the first time and just put in $25 at a time, which is what I pay about for filling my Prius). 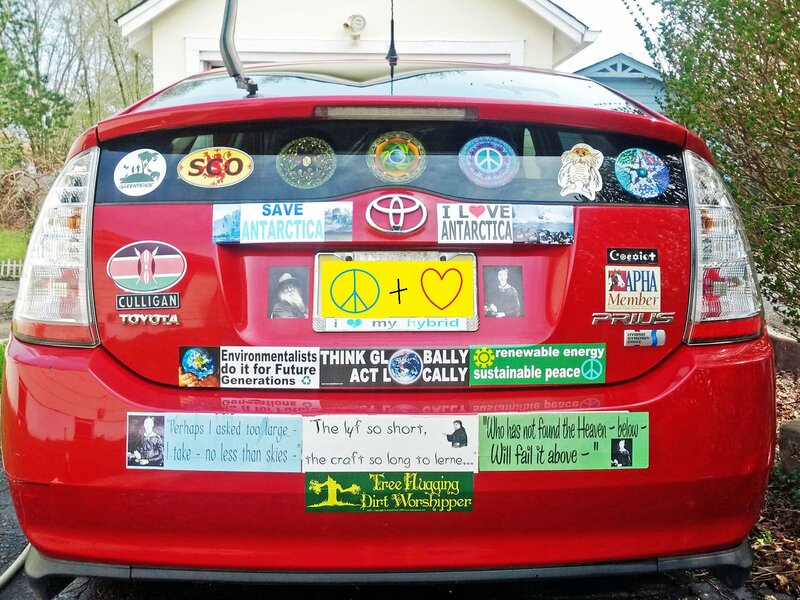 Now – I am well aware there’s all these trepidations about the Prius not being as hardy as a regular car. Let me reiterate: I am not easy on my cars. If anything can survive me, they can survive you. As long as you stay up to date on maintenance, your car will be good to you. I never have had a single issue with my either of my Prii at all. The only times they’ve been in the shop was for routine maintenance. So again, I ask, if you are shopping for a midsize sedan, why get anything other than a hybrid? 1. One, such as a rigid theory, that is outdated or antiquated. 2. A word or morpheme that is used only in certain restricted contexts, as kempt in unkempt, but is otherwise obsolete. 3. Belonging to the past; antiquated. Fossil fuels. Why are we still using them? Their very name implies something that should be a thing of the past, yet we are still using this archaic form of energy. I don’t have to list all the things wrong with oil, coal or natural gas. This has been well documented. 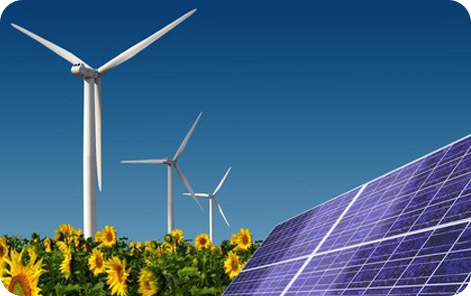 Nor do I have to sing the glories of the various wonderful alternative energies available to us out there – solar, wind, geothermal, tidal, and more. The technology is there. We as a people just have to demand it. Of course not all of us are in the position to put the heat on fossil fuel companies in similar ways that that these foundations have. We don’t have investments to deny, we can’t stop buying fuel for our cars (but we can take mass-transit, or buy fuel efficient vehicles!). So I am sure you are asking – what can I do to divest from fossil fuels? You can stand in solidarity with the 17 foundations that are divesting. The Schmidt Family Foundation, one of the foundations that is divesting, was co-founded by Google’s executive chairman, Eric E. Schmidt. So if you’re in the market for a new cellphone or laptop – buy a Google product. Love ice cream? Great! Feel free all the ice cream you want – but just make sure it is Ben & Jerry’s who have also made the commitment to divest. We are all in this fight for our planet together. We need to stand in solidarity. It might sometimes seem like there can’t be much we can do as one person. Keep in mind that the divestment campaign initially started in South Africa and it helped end apartheid. If we continue to spread the movement we can do the same with climate change. Fossil fuels are a thing of the past. We need to starve the companies out and bring in a new era of clean energy. One cannot say they are fighting climate change when they are producing more oil and natural gas in their own nation than ever before. One cannot say they are moving forward on climate when they are opening our national parks for oil exploitation, drilling for gas in people’s backyards, and when we are still behind on renewable energy. Look at other developed countries – heck, look at undeveloped countries, Kenya just announced they will be 50% solar by 2016 – they are miles ahead of us. And we’re supposed to be the #1 country in the world? Not even close. I had several issues with the climate portion of your speech. I do appreciate that you did state that climate change is a fact (doubtless to piss off several conservatives) – however it is also a fact that you are doing little to combat it. In fact, with you drilling away for oil more than ever before you are exacerbating the situation. Speaking of oil, there was no mention of the Keystone Pipeline. But given your dedication to the oil industry, I imagine you plan is to approve it. Especially since part of it is already flowing. Never mind all of the various pipeline leaks and oil spills (if there’s 300 in North Dakota unreported, how many are there in other parts of the country?) that hint that this is not a safe nor clean fuel option. However the most disappointing part of your speech was the blatant promotion of hydraulic fracturing. Water is already an invaluable resource on this planet that is taken for granted. There are currently people in California whose livelihoods are being threatened due to lack of water. But we are using water, mixing it with hundreds of dangerous chemicals, and poisoning it to further abuse our environment and waterways. It takes 1-8 million gallons of water to complete each fracking job. Couldn’t this water be used for better means? Couldn’t it be used to grow our food in California? Water people in undeveloped countries? Sure, you have made some advances in the climate fight. You have imposed some limits on carbon emissions, which has helped (however there are other countries that have done better in that department, we are not #1 as you stated in your speech). Also it is true that solar power was the 2nd largest source of new power in 2013 – but it is sandwiched between natural gas (dwarfed by natural gas is more like it) and coal. Coal? Can I ask why we are still opening coal power plants at all? This is such an archaic form of energy that is dangerous and dirty. Didn’t you say too at some point that you were shutting down coal, not investing in it? I have voted for you twice. The first time I voted for you because I thought you were the symbol of hope and that you were going to change things. I campaigned hard for you. The second time I voted for you because ‘you were better than that other guy’ (way better), but I was much less enthused with my vote. There is nothing holding you back now to make a real difference. I really wish I could go back to the man I saw at the 2004 Democratic National Convention and bring him out. I don’t think that man would have approved of hydraulic fracturing. I don’t think that man would be waffling on the Keystone Pipeline. That man had a vision. 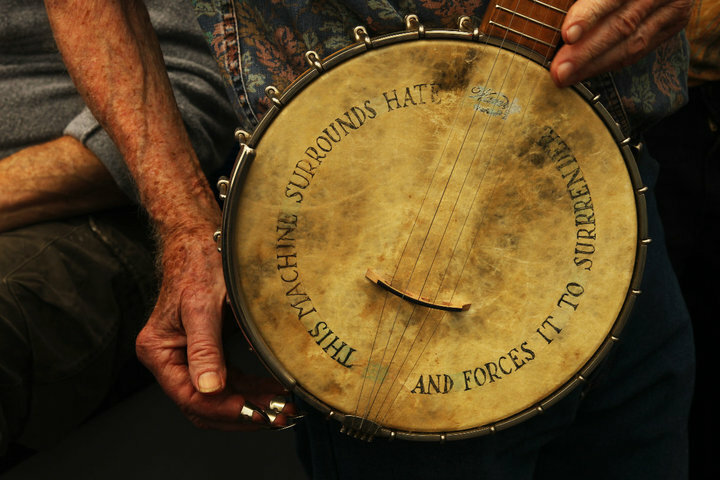 The environmental and human rights movement has lost their tuning fork on Monday, the great Pete Seeger. I was fortunate enough to be one of the many to see and hear Pete sing live at President Obama’s inauguration in 2009. A year before that I got to listen to him give a private concert with his grandson in the Catskills. But Pete really didn’t give concerts – he led sing-a-longs. Anywhere Pete was singing – whether it was a gathering of 50 people or millions, he always got everyone together to join him and sing. He had the immense power to bring people together. I imagine the future is going to be a million little things saving the world. I imagine a big seesaw. And at one end of the seesaw is on the ground with a basket half full of big rocks in it. The other end of the seesaw is up in the air, it’s got a basket one-quarter full of sand. And some of us have got teaspoons and we’re trying to fill it with sand. A lot of people are laughing at us & saying “oh people like you have been trying do that for thousands of years, it’s leaking out as fast as you’re putting it in.” But we’re saying “we’re getting more people with teaspoons all the time and we think one of these years you’ll see that whole seesaw go in the other direction.” And the other people will say “gee how did it happen so suddenly?” Us & all of our little teaspoons. This analogy of the seesaw is something that stuck with me. Sometimes, whatever task us activists take on, feels monumental. It feels like there’s no way we can make a difference. But it is important to remember that we are. Pete often said “the future is going to be a million little things saving the world.” I frequently have heard him say this in other interviews. It is a message that needs to get out there to every activist that is trying to save the world. It makes a difference to every tree we plant, to ever bird we release, to ever piece of plastic we recycle. These are all the teaspoons of sand we are putting in the basket that will eventually tip the seesaw in our favor. This blog is my attempt to be the drop in the ocean. Throughout my day I see people make decisions that have drastic negative impacts on the environment. Many of these people are my friends and family. I am not one to preach to audiences who are not susceptible to hearing my message. I have found that this only breeds contempt. This does not stop me from posting on Facebook nor Twitter (@jcd_poet) issues I’m passionate about. I just think they are missing out on some valuable information that could change their lives and the world. What prompted me to start this blog is to expand my audience. I am well aware that I may fall on deaf ears or will be one of the million voices out in the multitudes. It makes me feel better knowing that I will be putting my words out there and maybe someone will hear them. A word of caution: I am a quirky person so it is liable that this blog will go out on tangents. What is life without whimsy?